SHEER IN THE HEADLIGHTS: Singer/songwriter Ed Sheeran is at #1 for the fourth week in a row with “Shape Of You”. This much isn’t strange, right? However, this week is a slightly different one for the chart hit. It ends this particular frame with the largest weekly spin total on a published update in CHR history, accumulating a massive 19,603 spins. That beats the previous record, 19,518 spins on the 7/12/15 chart for “Bad Blood”, performed by Taylor Swift and Kendrick Lamar. Gee, does that mean he’s no longer a member of Swift’s squad? I guess we’ll see. Of course, the cuts from Sheeran’s Divide are taking over the charts globally, so it won’t be a surprise to see “Shape” back at the top for a fifth week next Sunday. To put this momentous musical moment in perspective, it was 20 years ago this week that “Lovefool” by The Cardigans was in the top spot on the pop radio chart for its fourth of six weeks. It totaled 6,527 spins from the panel in that seven-day period. Needless to say, I could rant about the major radio companies and PPM, among other things, but I’ll save that for another post. In the meantime, we’ll see if Sheeran eclipses the 20,000 spin mark in the coming weeks. The task is quite difficult at this point, but not impossible. A PERRY GOOD WEEK: 32-year-old hitmaker Katy Perry pops into the top ten for the 16th time since her 2008 debut with her politically-charged “Chained To The Rhythm”, up a single notch to #10. The hit features newcomer Skip Marley, who has a song at the Alternative and Triple A formats called “Lions”. Perry has eleven #1 songs to her credit on the CHR chart, with an amazing set of seven between 2009 and 2012. Will her latest make it to the top? If it doesn’t, it will take the PPW era record for the song with the most adds in one week (174) that didn’t reach #1. That’s a pretty unfortunate title, so let’s hope it doesn’t happen. The Perry and Marley collaboration is the first top ten single with a rhythmically-themed title since 1995, when Brazilian singer Olga Souza made her debut as Corona with “The Rhythm Of The Night”. The dance anthem peaked at #8 (1/27/95) on Radio & Records. 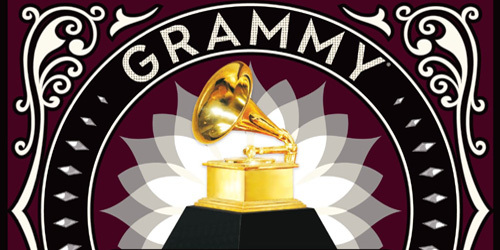 Overall, there have been twelve such top 40 titles on both R&R and Mediabase 24/7 since 1973. 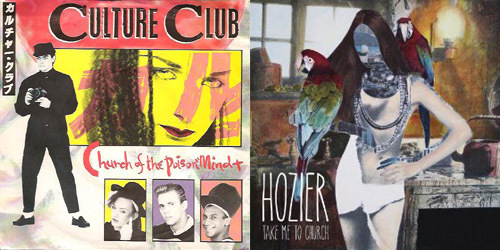 LONG TRAIN CHARTIN’: Two of the debuts in this week’s top 40 are sung by lead or featured performers that began their CHR chart career in the late 90’s. Chart conductor Pat Monahan and his band Train are headed up the tracks with their tenth top 40 song since 1999. “Play That Song” advances 42-37, marking the group’s first top 40 hit at the format since “50 Ways To Say Goodbye” got to #17 (10/14 and 10/28-11/4/12) just over four years ago. Of course, the group’s made the Hot AC chart several times since that hit, but nothing’s come close to charting here. I think this deserves an upgrade to first class chart trivia, don’t you? Let me know. At ten top 40 songs, Train becomes the latest San Francisco band to surpass the double-digit threshold, a list that includes bands like Huey Lewis And The News, Journey and more. Don’t stop believin’ in these kids, kids, because they come back with a hit when you least expect it! MAJOR BEY ALERT: Record producer and professional screamer DJ Khaled claims his fourth top 40 entry on this week’s CHR chart with “Shining”, up 44-39. Though the 41-year-old has been releasing music since 2006, it wasn’t until 2011 that he grabbed his first charting song at the format with “I’m On One” (#32, 9/18/11), which featured Drake, Rick Ross and Lil Wayne. His latest release features married couple Beyoncé Knowles-Carter and Jay Z (Sean Carter), giving Knowles her 24th top 40 entry as a solo artist since 2002, and Carter his 26th top 40 hit since 1999. I’m sure the Beyhive will be happy to know about their girl’s latest feat. Like they never left at all. It’s a big day for Jay-Z as his newest album, Magna Carta… Holy Grail, is made available for Samsung Galaxy owners before it hits retail outlets on Tuesday. The first single from it is listed as a bonus track on the Samsung tracklisting, “Holy Grail”, which features Justin Timberlake. However, this is also the first track on the main listing on iTunes. Seems sort of odd. 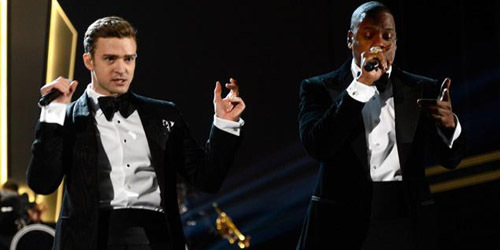 The two teamed up earlier this year on Timberlake’s comeback hit, “Suit & Tie”. We’ll see if their latest song together can travel to those heights on the national surveys. Enjoy! Listen to “Holy Grail”. / Pre-order Magna Carta… Holy Grail on iTunes.